I am fascinated in learning how highly skilled and competent people use hypnosis. I am guessing you are too? 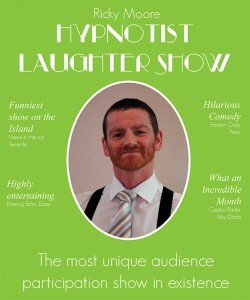 Last year I had the absolute privileged to meet Barry Trainer ( aka Ricky Moore ) who is a professional stage hypnotist. Barry attended one the the NLP Practitioner trainings I run throughout the year and brought a massive amount of enthusiasm and fun into the training. What Barry also gifted us with was his sense of humour, skills and many, many questions. I love questions. Ricky has the amazing accomplishment of being over twenty years ago Europe’s youngest stage hypnotist. 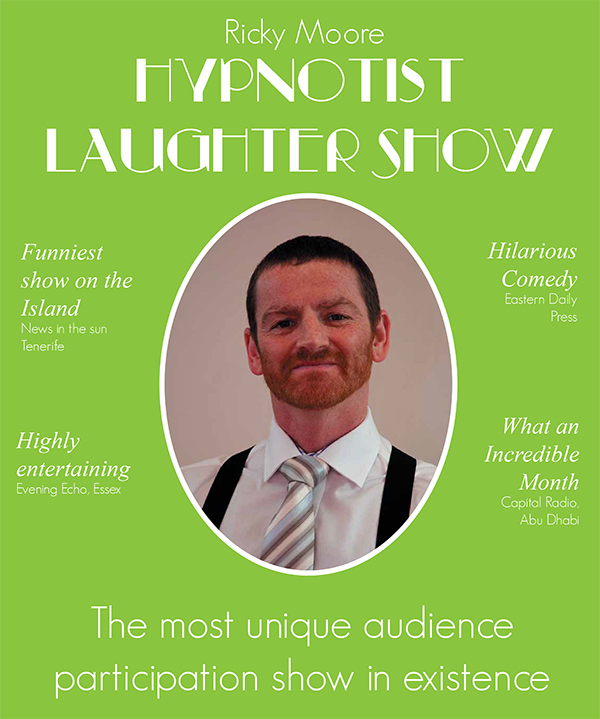 That to me is an absolutely amazing and because for one evening Ricky will show you exactly what he does; and we will all learn how a master hypnotist does his magic. You can check out Ricky Moore’s web page right here so you know what you are coming to learn, be entertained and have lot’s of fun and add lots of great additions to your ways ways of working with your therapeutic toolkit from a real and genuine master. Secrets revealed … Processes to utilise in you professional work.